Get ready for Long Island entertainment all week long! Get ready for Long Island entertainment all week long! On Monday, it’s Hot Rod Cruise Night at Bald Hill Cultural Park and Wing Man Night at Yogi’s All American Grill & Sports Bar. On Tuesday, enjoy live music and a special Italian dinner at The Rose Hunt Restaurant & Lounge and two-for-one specials on domestic and imported drinks at The Loyal Dog Ale House. Wednesday is a night of arts with the autumn sculpture stroll at Sculpture Park at the Nassau County Museum of Art and a theater performance of Cheaters at BayWay Arts Center. For Thursday, head over to the Hampton’s International Film Festival for film screenings or open mic night with singing and guitar performances at Page One Restaurant. Check out the details below! Info: Hot Rod Cruise Night is brought together by Island Import Performance, Streetwheelz and Party 105. Come out and check out stunning hot rods, food, drinks, giveaways, live music, vendors and more! Info: The Yogi’s All American Grill & Sports Bar at the Crowne Plaza calls Monday’s its Wing Man Nights. You get two-for-one specials on Bacardi drinks and hot wings for two. This place is non-stop for sports and entertainment with its 42-inch plasma screens and personal speaker systems at the table. Info: Looking for an elegant place to dine on a Tuesday night? Stop by The Rose Hunt Restaurant & Lounge at Fox Hollow Long Island Hotel. Tuesday is its Italian Night and it features live music. Enjoy a menu with a choice of Melon with Prosciutto, Mozzarella Caprese, Baked Clams, Fried Calamari or Cold Antipasto for an appetizer, Rigatoni Florentino, Pollo Pomodorino, Veal Cardinale, Nido di Mare or Saffron Risotto Pescalore for an entrée and coffee or tea for dessert. Info: Tuesday’s at The Loyal Dog Ale House has an offering of two-for-one specials all day long. Enjoy the special on domestic and imported drinks. The ale house also offers over 100 craft beers from around the world. Info: Fall is officially here and that means nature is beginning to change into a beautiful combinations of colors. Take part in viewing nature at Sculpture Park at the Nassau County Museum of Art. It will include a guided tour by senior educator Jean Henning who will also introduce the outdoor sculpture collection on the grounds. Info: Looking for a theater performance with comedy? Cheaters has what you’re looking for. It tells the story of a couple, Michelle and Allen, who have been living together. Michelle wants to get married, but Allen is not certain. The couple meet up with their parents over dinner and experience is lent, plus much more. Info: The festival kicks off today and runs through October 8. 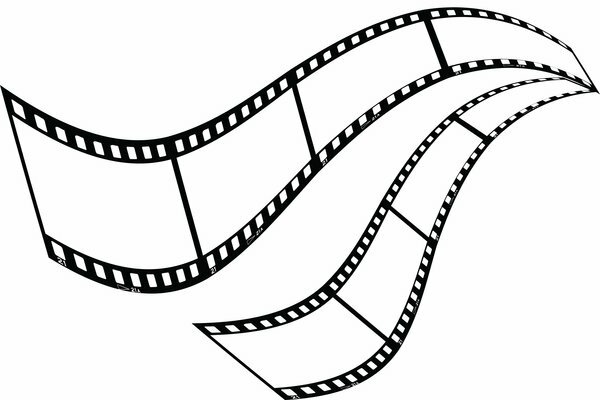 There will be independent film screenings, ranging for long, short, fiction to documentary films. Stop by to enjoy entertainment with new voices and perspectives that offer inspiration. Info: The Open Mic Night is hosted by Tony Tedeschi. You can expect to see 10 to 12 performers, including singers to guitar players all with original material. One Page Restaurant also has an offering of entrees priced at $5, including special salads, burgers with fries, fish and chips, sesame chicken and more. Subject: LongIsland.com - Your Name sent you Article details of "Hot Spots: Weekly Watch for October 1 through October 4"